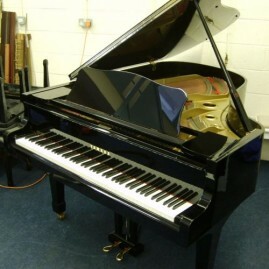 We’ve been selling Used Yamaha grand pianos for over 20 years and sell over 10 used Yamaha grands each year. They are carefully regulated, the bass strings are replaced if they have lost their tone. We then finely run some final checks before tuning them and guarantee them for 5 years. The new Yamaha GB1 baby grand sounds reasonable at first but unfortunately shows up as not being well made when it comes to tuning and maintaining it. Economy has been the watchword in making this piano. They have also left out the hugely advantageous adjustable music desk which is standard on practically all baby grand pianos. 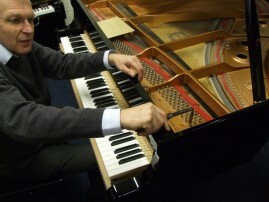 If you’re looking for a budget priced baby grand then you’re much better off choosing a baby grand from the 1920s or 30s, during this time Yamaha were in competition to make the standard of baby grands to a very high quality; the baby grands are also a good choice if you have a small spaces. Baby grands also hold a good tone and provide good performance considering they are much cheaper. Alternatively, if you prefer to buy a new piano, we recommend the respected Austrian firm Wendl and Lung (merged with Feurich in May 2011, whose name they are now using). 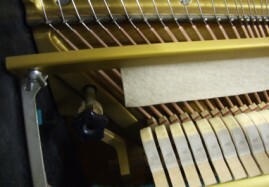 Their 161cm and 178cm grand pianos are finely designed and very well finished off.